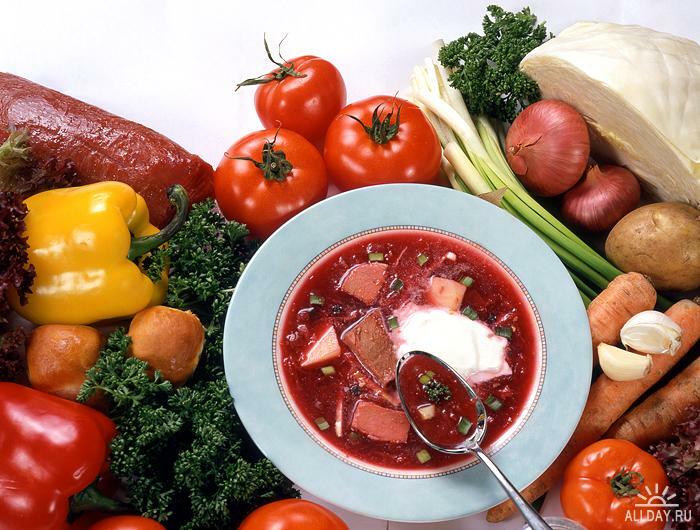 Borsch is a very delicious and specific kind of vegetable soup and a part of national cuisines of many countries: Russia, Ukraine, Poland, Belarus, Moldova, etc. 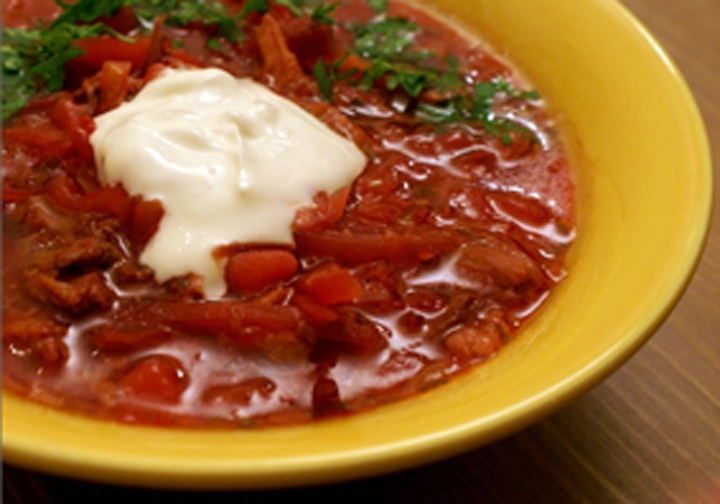 There are hundreds ways of cooking borsch. 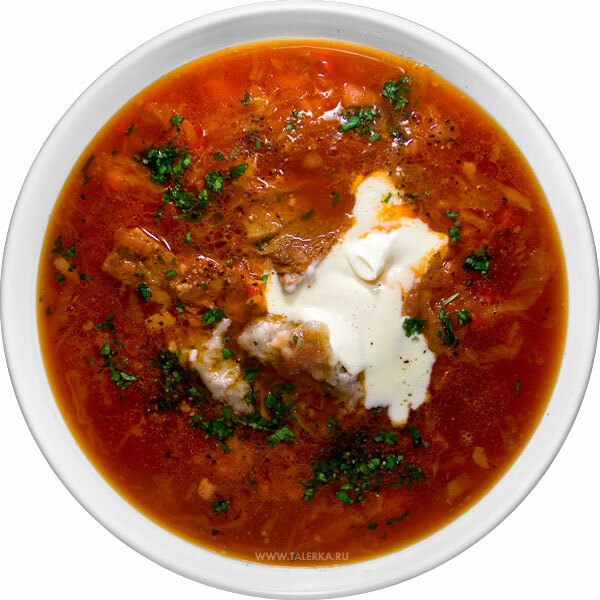 For example the Ukrainian borsch is usually cooked with fried meat (when you need to make it quicker) or raw meat (originally beef or pork). 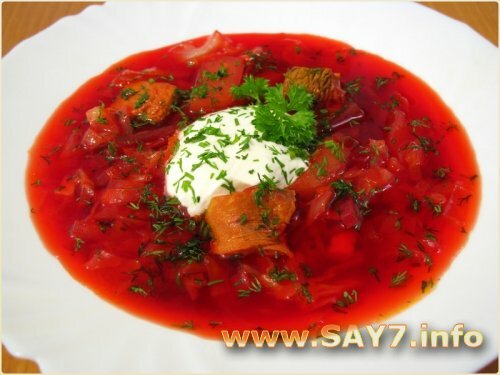 It consists of boiled vegetables (beet, onion, cabbage and carrots) which are added in broth later. 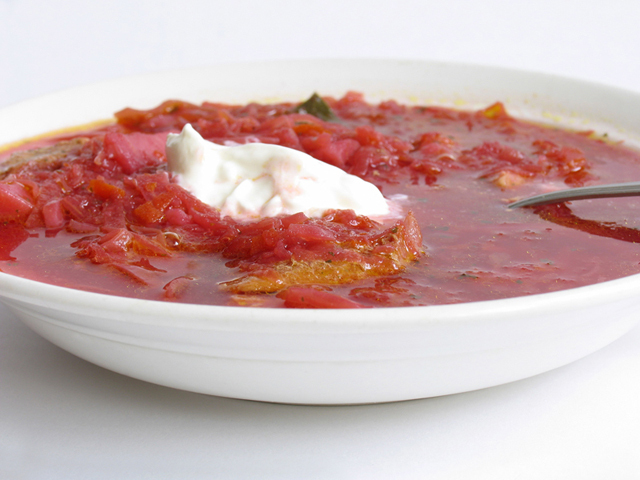 Borsch is commonly boiled for 20-40 minutes and when it is ready, is a real tastiness with sour cream! Mmmm, one of my favorite! Looks nice and I hope it is tasty. The lack of a linked recipe for the photos greatly disappoints me. 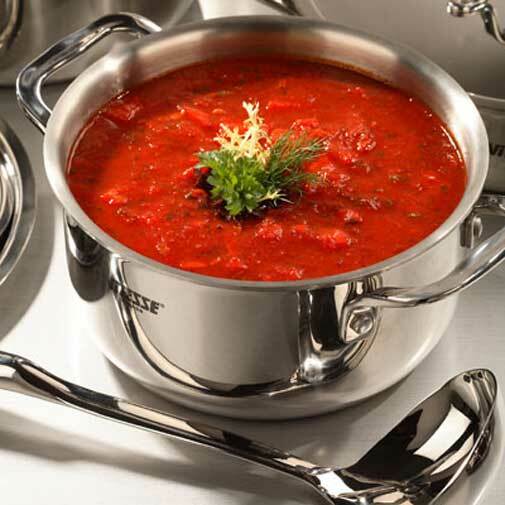 All “red” soups are good. One of my favorite soups. It’s awesome with meat. During the cold war, we were told this is all the Commies had to eat, just one bowl a day. Then of course we were shown our fields full of amber waves of grain, huge bread factories, acres of beef, etc. Keep the truth going E.R. I make this delicious soup all the time. Mine comes out a little more orange but that is because I like to add a little more carrots. I am eating some now. From the jar it is fairly good, but not like fresh made! froma jar? like, from the store?? yik! My grandmother use to make this when I was a little kid, and the Local bakery would produced the good Russian Rye bread to go with it. That would be 1965. After that my grandmother had trouble taking care of herself. From 62 to 65 she lived with Mom me and my brother, and all that stuff they use to make. Those were the days, Grand Mom was born in Minsk,It was Imperial Russia then, and she was 93 when she passed on in 69. Lots of White Russians and Poles settled were I grew up in the United States, later they would come from the Soviet Era. Each brought value and tradition with them. Now All I need is to find that Borsch again! I was a bit disappointed to see ER posting food… but, everybody’s so sociable when food comes up. I like it. Anybody care to share some recipes? Recipes for what? What are you interested in? I don’t have much, mostly something quick or easy. 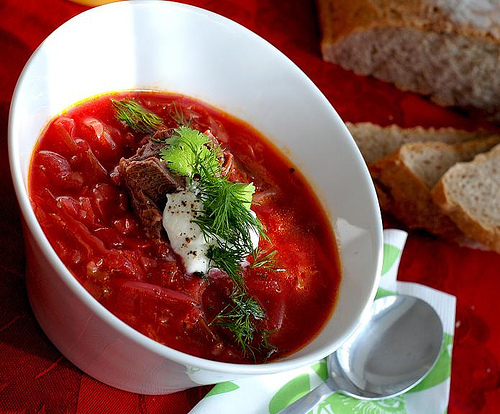 i make a bomb Borscht with fresh baked bread…did i mention it’s the bomb? yeah, it’s good. You forgetten Romania! 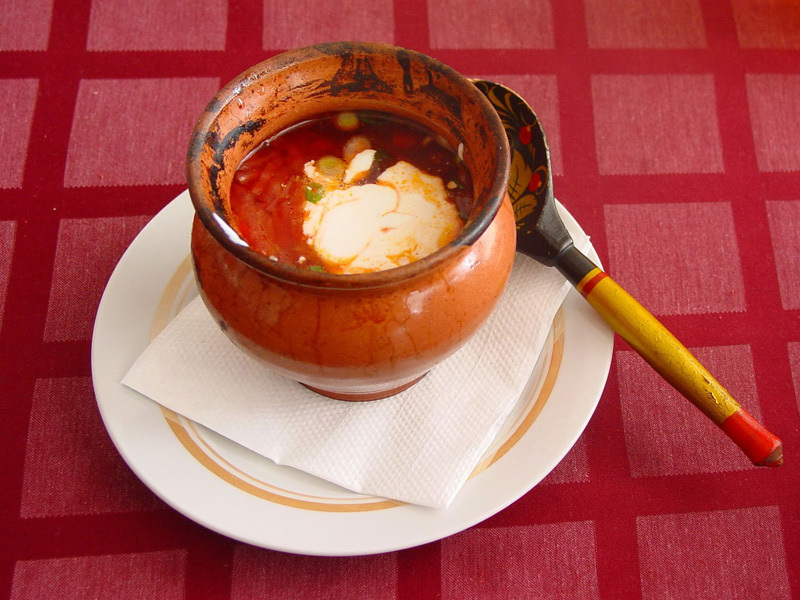 The Borsch recipes from Romania are one the best made…and I will not mention the soup.. Delicious for anarchists. No meat needed, let’s coexist with animals, Comrades. The Giants win the pennant! The Giants win the pennant! The soup looks good too. One of the many reasons i would like to visit your side of this planet. What a great food its can be very delicious.can i have full recipe please. So nice i looks nice and delicious.